Instead of recommending Sanrio gifts to you, I wanted to showcase the items that I have chosen for myself in the last couple of months. 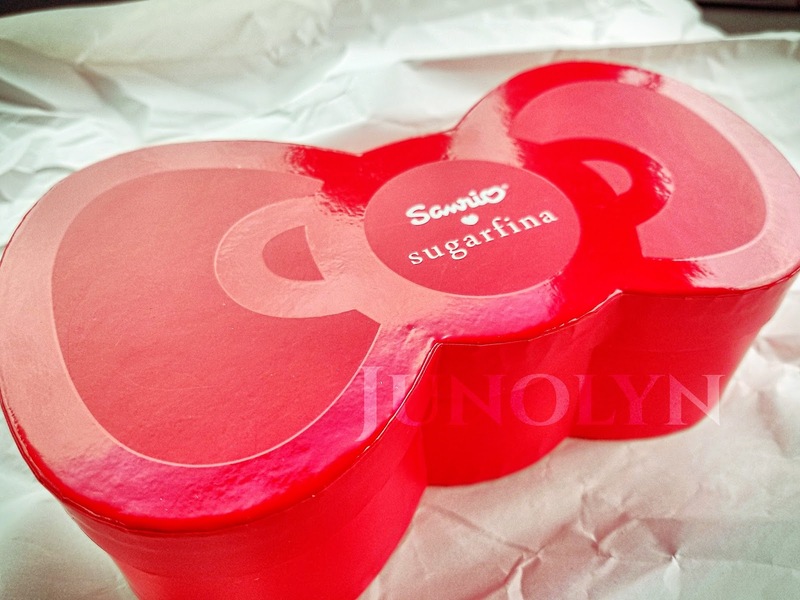 I had three choices when selecting to purchase Sugarfina's Hello Kitty gummies. I chose the best fancy presentation that would commemorate the experience to the highest level. 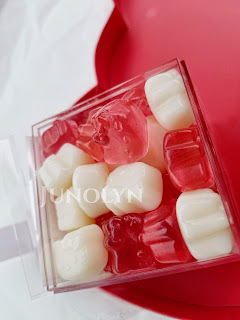 As a Sanrio collector, I instagrammed the moment when I received the gummies. It was another journey that this Sanrio addict experienced with her very first Hello Kitty shaped gummies. It was a fantastic moment to share with other fellow collectors. This special snowglobe is the highlight of all my Christmas gifts to myself. 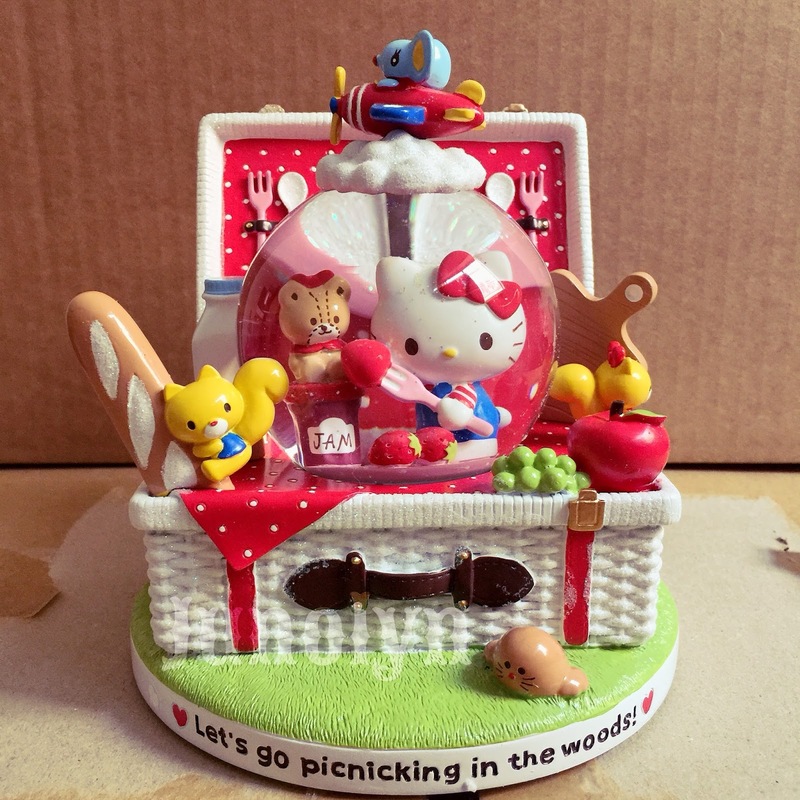 The snowglobe design is what I have been asking Sanrio for years to produce. Finally, a high end product that I can proudly display in my collection. It's one of the many steps of progress that I have been seeing from Sanrio as of late. 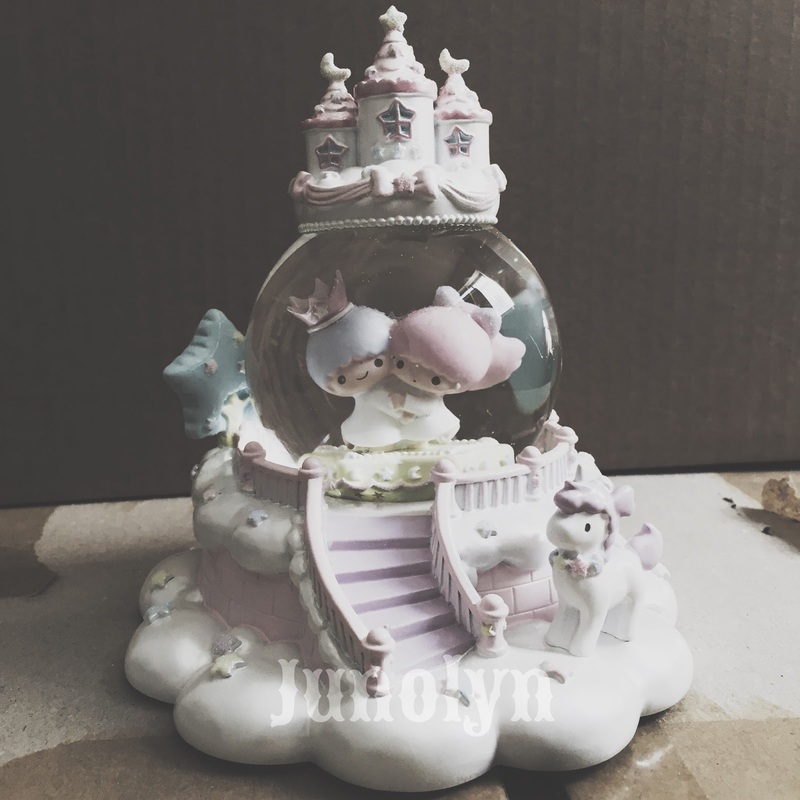 The snowglobe is very intricately detailed that it gives off the special feeling that the designer put some serious creativity and thought when producing this masterpiece. It's definitely a one-of-a-kind rare piece that should be cherished forever. Sanrio has impressed me -- their harshest critic that is a fan of their brand. Great job, big S.
When this particular snowglobe was first revealed to the Sanrio community, I was actually astonished that the size was not tiny. I was further surprised at how creatively designed the special piece turned out. My favorite part about the snowglobe are Hello Kitty and Mimmy's outfits displayed on mannequin stands, ready to be used. Almost like a sneak peek version of their closet. The ribbon on the top is actually a very nice detailed finish for this snowglobe. 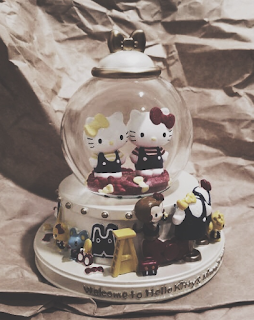 The centerpiece with Hello Kitty and Mimmy standing side by side is another beautiful detail that showcases their sisterhood. This piece is in no doubt another cherished snowglobe that will be remembered for years to come. As you can guess --- introducing my very first Little Twin Stars snowglobe. Mainly, I was attracted to the size of it and then, the design. It was another masterpeice that I couldn't pass up. It is the kind of snowglobe that explains what is sweetly adorable about Kiki and Lala. They are royalty in the heavens. They are our Angels. They are surrounded in magic and the ultra beauty of the skies. Fluffy white clouds shimmering in the mist, hiding and protecting the secret dynasty of the twins. It makes me want more of their secret world in the heavens. Lastly, I present my ultimate Christmas gift to myself. 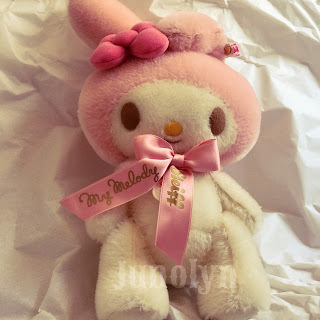 This high quality produced plush is another major score for this Sanrio collector. This plush represents of all Christmas gifts that are special. One important factor is that only 1,500 plushes have been produced. Secondly, it's not some random gift that can be achieved easily. Yes, price was expensive, but it meant that sacrifices were made in order for this piece to be obtained. It is another reason why Christmas gifts have special meaning and is not just an ordinary gift. It's a special time in a Collector's life that is meant to be cherished with meaning and love. If a gift does not have any meaning, then how can it be special on one of the most memorable day of the year? I collect. It's what Collectors do.